Temple Ro will be at Lightning in a Bottle 2019! We’re so excited to be back in LA with our Pink Mammoth family! Find us in the vending area! Details below. Pink Mammoth is ecstatic to announce our 15-year anniversary celebration and debut our Los Angeles fundraising block party at the stunning bohemian location of Saint Vincent Court in Downtown Los Angeles! This extravagant outdoor community gathering will be held on Saturday, April 20th, 2019 with a variety of boutique clothing vendors, delectable cuisine from neighboring restaurants, and of course, world-class music and DJs. We look forward to showcasing a unique Thievery Corporation-style DJ set by Rob Garza along with local legend Marques Wyatt, Lonely Boy (LIVE), Tara Brooks, Facundo Mohrr (LA debut), Pink Mammoth’s resident DJs, and more! As with all our events, all proceeds from this block party will go to Mammoth Arts Foundation, 501(c)(3) and in turn help get Pink Mammoth back to Burning Man for another amazing year. So, come out and spend a beautiful open-air Saturday with us celebrating this milestone of 15 years - we can’t wait to boogie with you! Danley Sound Labs supplied by Subtract Music! OUR FESTIVAL SEASON KICK-OFF PARTY HAPPENS THIS SUNDAY! We’re joining forces with Love Khaos and Gitana Gold for a month long brick and mortar pop-up in San Francisco, and our Grand Opening is this Sunday! Come by to say hi, find your perfect festival outfit, and sip bubbles while you shop. We'll be pouring mimosas at noon! Clothing, accessories, menswear, jewelry, and more. As always, our entire collection is ethically made in the USA from cruelty-free fabrics. We’ll be launching our new collection toward the end of the month, so stay tuned for more details! 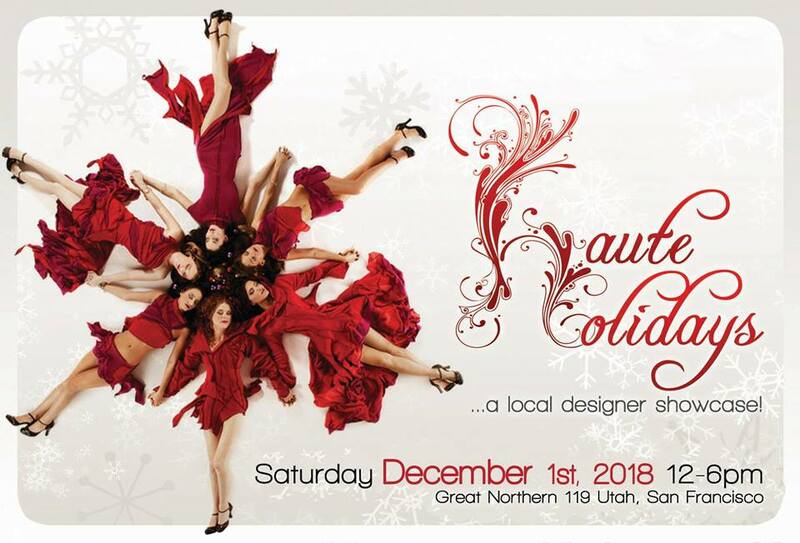 Please join us at the 11th Annual Haute Holidays Shopping Event in San Francisco! Supporting local designers this holiday season is the best way to give back to our community! Are you curious about starting an ethical fashion brand? Our founder is doing a "Today at Apple" talk at the flagship Apple Store in Union Square! 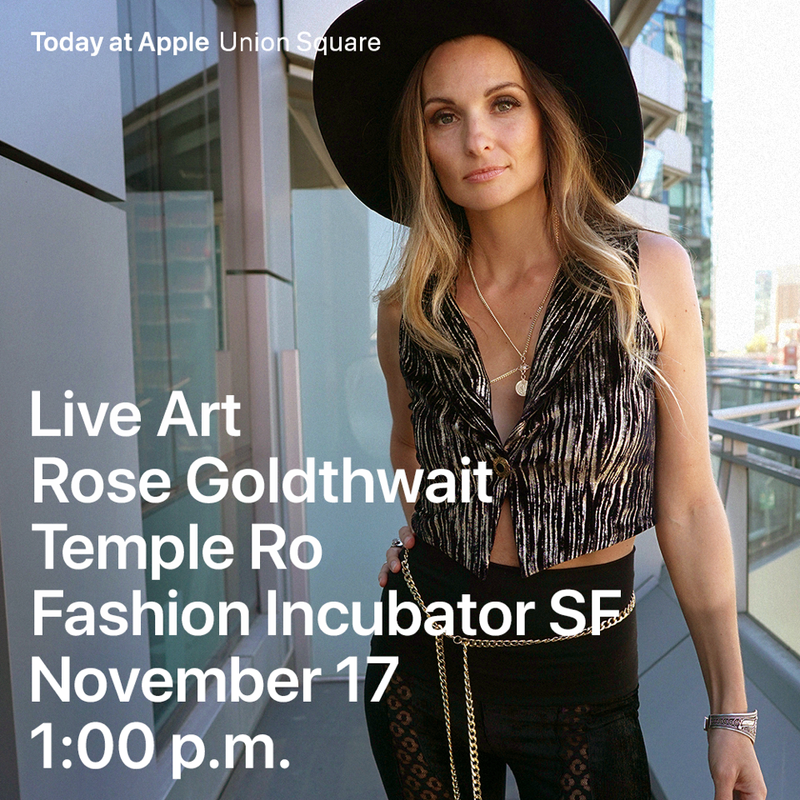 She'll be sharing the story of creating Temple Ro, what it's like to build an ethical clothing line, and doing a live art demo with the iPad on creating fashion & technical sketches on the fly. There's a Q&A at the end, so bring questions! Five & Diamond Holiday Loft Sale - 2 Days! We are very excited to announce that we’re joining the 11th Annual Holiday Loft Sale above Harrington Galleries - a beautiful loft space on Valencia Street. Come out to find a curated selection of independent designer gifts, clothing, accessories, jewelry and more. Temple Ro Holiday Brick & Mortar! WE’RE TAKING OVER A BRICK & MORTAR! If you’ve ever wanted to shop Temple Ro in person, you’re in luck! We’re putting down roots for the month of November, and our whole collection will be available. We’ll be open 12-8pm daily (except on Thanksgiving) with featured designer pop-ups throughout the month. Come by to say hi, find your perfect holiday outfit, and check out our amazing featured jewelry and accessories designers. We have so many perfect gifts too! Black Friday and Small Business Saturday sales will be on! Bohemi - Bohemian jewelry celebrating the fierce, feminine spirit. Original & handmade in Boulder, CO.
Jypsy Caravan - expertly curated traveling boutique of body chains, belts, and other boho accessories. Petals In the Sky - One of a kind wearable art designed to celebrate the strong, unique, and beautiful. CanDid Art Accessories - CanDid Art is an artisanal jewelry studio influenced by cosmic geometry and an indigenous design vernacular. We create unique conversation-starter pieces that spark trends and are accessible by a diverse customer base around the world. Patented ѕυnglaѕѕes + crystal earrιngs + necĸlace ιn one. The ORIGINAL crystal sunglasses! 💜Go On and Love Yourself Up! It's official: Temple Ro is doing a full store takeover of Five and Diamond this November! If you've ever wanted in-person access to the entire Temple Ro stock, now is your chance. We'll be open 12pm - 8pm every day of the week, no appointment necessary. We'll be debuting our Holiday collection + new Fall styles, plus our perennial favorites and a sale rack. Round out your holiday outfits and shopping with our meticulously curated selection of jewelry, accessories, and gifts. Please share, invite your friends, and come by to say hi even if you don't plan to shop. As always, Temple Ro is about community and connection. Temple Ro is clothing for ceremony and celebration, ethically made from cruelty-free fabric in the USA. The Annual Gratitude Sale is here! It's that time again! Our whole team is taking the week off, and to thank you for your patience while we get some rest, we're doing our Gratitude Sale! Use code THANKYOU! for a sitewide discounts. All orders will begin to ship on September 6th when we're back in the office. ADID is one of our favorite events! Amazing music, gorgeous venue, and all the ethically made fashion you can drape on yourself! See below for details. We're so excited to join our Pink Mammoth family for our 6th annual block party! Details below. Find us in the vending area! 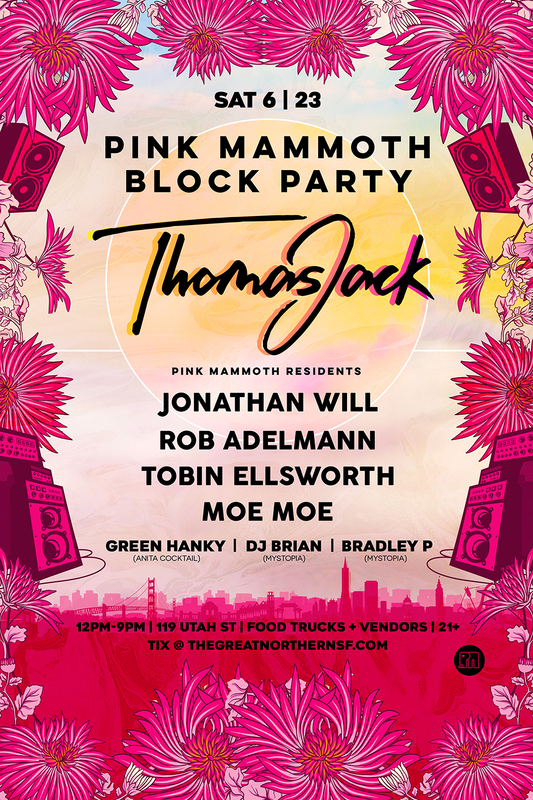 On Saturday, June 23rd Pink Mammoth and The Great Northern present the 6th annual Pink Mammoth block party, one of the West Coast's city's largest outdoor deep house music events. Proceeds from the event enable Pink Mammoth to fund its yearly production at Burning Man and offerings throughout the year. This is a staple of SF Pride's weekend festivities and a celebration of music, food, art, and pink love. There will be multiple areas of sound featuring MASSIVE headliners (TBA after May 20th) along with support from Pink Mammoth resident Djs and other local rockstars. Classic Cable Cars will be providing the "Trolley Stage" outside where DJs will be playing inside of the cable car. Bleacher seating will be available for your viewing pleasure. Gourmet food trucks will be on site. Monarch Beverage Catering providing their craft cocktails and mocktails. Local designers and vendors will be selling their very own SF made artwork, clothing, and trinkets. Want to volunteer for free entry? Send an email to info@pinkmammoth.org. - This event is strictly 21+ and due to recent events across the US, please plan on extra time for security checkpoint at the box office. - This is a NO SMOKING EVENT per San Francisco law, so please do not smoke anything including vaping pens. There will be a designated smoking area located outside of the event. No smoking is allowed inside of the event. So excited to join this amazing event with one of our favorite crews! See below for details. SAVE THE DATE! We are so excited to host the first Temple Ro trunkshow of Festival Season on Saturday, June 9th, 2018. New styles, timeless signature pieces, and a huge (bigger than ever) sale and sample rack with one of a kind items. Join us for a day of shopping, community, and wine! Please invite your friends, and stop by even if you don't plan to shop. As always, Temple Ro is about community and connection. In the meantime, shop our current sale on www.templero.com/trshop! Use code FLOVE18 for a storewide discount. Temple Ro is designed and manufactured with love in San Francisco. Vegan fabric, slow fashion, ethical production. For ceremony & celebration. 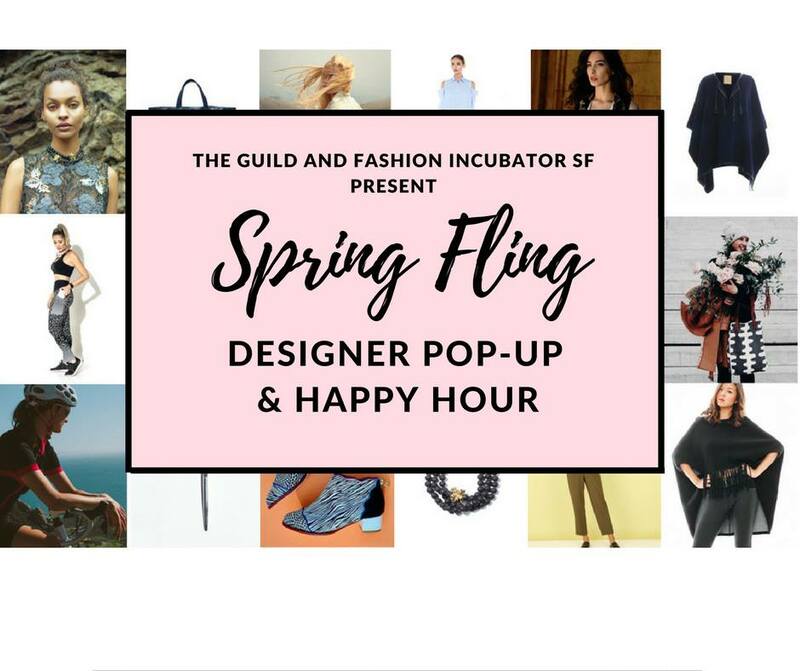 As part of SF Small Business Week, we're popping up at Fashion Incubator SF to celebrate local fashion and small businesses. Join us for a festive evening of shopping, sipping and networking! Five & Diamond Loft Sale - 2 Days! We are so excited to join the Five & Diamond loft sale again this season, this time for two days! Saturday May 12th, 12pm-8pm Sunday May 13th, 12pm-6pm. Details from the event organizers below. 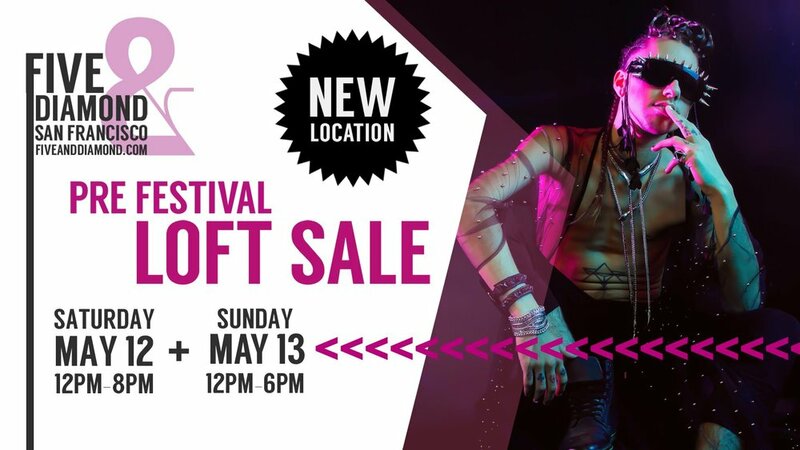 The next Five and Diamond Loft Sale has been scheduled! We are stoked to be in a new location - on the same block as our SF shop - and for two days!! This event is two weeks before LIB and the same weekend as the Valencia Sidewalk Sale so come down to visit us and stay to visit all the other awesome independent designer shops on the street! And thank you for supporting independent designers and artists from the Bay Area and beyond! We are so excited to join our PM family for the LA installment of our 14 Year Anniversary Tour! Details below. Hello friends! Pink Mammoth in collaboration with Before After are excited to announced that we're celebrating our 14 year anniversary in style with a magnificent LA bash. We have a stellar lineup of musicians and we’re bringing it all together with the love and feel of our renowned Burning Man day party. You can count on a flawless combination of pink decor, live artists, aerial performances, and much much more to create that perfect vibe for our community. We’ll be starting early at 2PM with drink specials and an open bar of luscious pink punch until 4PM. It’s Saint Patrick Day which is a PERFECT reason to come out early and get your pink (or green) or whatever festive attire you're feeling good in day party on with us and your friends. It is highly encouraged to grab tickets ahead of time and arrive early to get comfortable inside the party. We will have an array of stylish clothing vendors and delicious food for you to enjoy. Come early and join the celebration! Tickets are on sale now and we highly encourage grabbing them early. Grab your general admission or special ARRIVAL BY 4PM tickets while you still can. Le Jardin has recently made some improvements with a renovated outdoor space to accommodate an even better sound and vibe for us all. They installed brand new four corner Funktion-One sound tuned to perfection by the local Funktion-One team and removed much of the extraneous furniture to make room for a spacious and enjoyable dance floor. If you choose to drive, there is adequate garage and lot parking around the venue with very reasonable day rates. International Women's Day (March 8) is a global day celebrating the social, economic, cultural and political achievements of women, while also raising awareness of ongoing gender parity issues. International Women’s Day in the Bay will showcase the richness of our local dance music culture by featuring bay area women DJs and producers who collectively play an array of styles including hip-hop, funk, world, bass, house, and techno. Come celebrate this international holiday with diverse lady selectors and producers for a night of globally produced and influenced that supports the hard-working women who put food on our tables. We are so excited to join our Pink Mammoth family and community in Colorado for a super special anniversary celebration! Details below. Colorado Family, It’s our Birthday! As always, we encourage your brightness, your full expression, your prayer. Temple Ro is coming back to Colorado! Clothing for ceremony & celebration, made in San Francisco with love and cruelty-free fabric. We are excited to host our first event at a beautiful and elegantly appointed studio in a secluded area of Denver. The location will be released a few days prior to the event. We will have a full cash bar as well as local elixers. BYOCup to ease environmental burdens and SAVE $1 per drink! 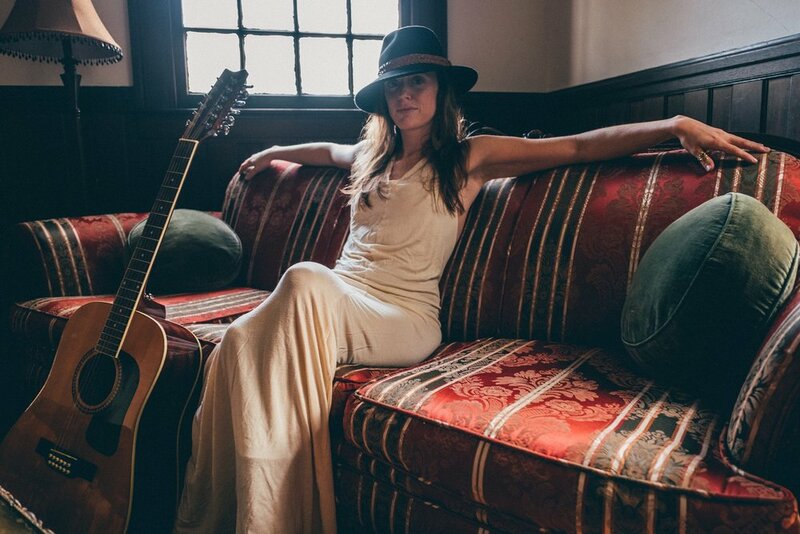 We've been (not very) patiently waiting for Annie May Willis to release her second album, and the time is almost here! We are so excited to join her for an intimate night of music and shopping. Details from the event organizer below. Please join us in a night of acoustic performance and a boutique market as we welcome back to Colorado, Annie May Willis and Temple Ro! On Saturday, February 3rd, we celebrate 14 years of pink love as Pink Mammoth turns 14 years! For this special occasion 11 DJs perform in 2 areas of sound. Expect only the best in deep, funky, soulful, and dirty house beats all night. The evening begins with an open bar from 9pm-10:30pm of pink love cocktails and free delectable catered bites of food. Beautiful decor and lighting will be spicing up the night illuminating the venue and great crowd. We'll have Pink Mammoth swag available in the vending area too! Make sure to get your advanced presales for this as we do expect this to sell out! Peace and Pink Love to you all! We're ringing in 2018 with our favorite Pink Mammoth family! Find us in the vending area alongside a curated (by us!) group of amazing independent designers. See below for info! Rave lords, kings, queens, and dignitaries unite! It’s A New Day block party is back; full massive line-up, stages, food, vendors and more. Over twelve hours; can you hang? First round of ultra discounted wrist-bands available now! 21+, Ins and Outs from 4am-6pm! The Five & Diamond Holiday Loft sale is one of our favorite holiday events! Find us upstairs next to Wild Feather! Over 25 independent artists, this event focuses on gifts and things you can give others with some fun stuff for yourself as well. We will be having raffles every hour (on the half hour) throughout the whole day. You get a ticket for attending and another for each vendor that you purchase from. Prizes to be announced! Please join all of the Wild Feather Resident Designers for a night celebrating such an amazing year and the completion of the 3 year long road construction!! Jeno (WIcked) & Johnnie Walker (Disco Knights) will spinning vinyl and the ladies will be on hand to help style you and your loved ones for this holiday season! Cocktails & Snacks will be served. Haute Holidays is back for the 11th year! We're so excited to be a part of this event! Details below. Please join us for an amazing day supporting local design & holiday shopping and fun! This is our 11th Annual Holiday Trunk Show. Join us at Halcyon for a fun day of holiday shopping and beats! DJs, drinks, large dressing room area, and a photobooth to capture the moment! See below for more info. We are so excited to join the ADID vending area for the second time on September 30th! As part of our Gratitude Sale, EVERYTHING IS ON SALE. Event info is below! Returning to Oakland on Saturday September 30th, the All Day I Dream community finds itself nestled on the waterfront of Middle Harbor Shoreline Park. A venue that takes in a truly magical city on the Bay. The sun sets into cityscape. Please join us as early as you can during the day to ride through dusk in to a little darkness with your soundtrack provided by Lee Burridge, Bedouin & Lost Desert. There are some questions and unknowns floating around for this Saturday’s All Day I Dream at Middle Harbor Shoreline Park, so we thought we write up a guide to help answer some of your questions to get you the best experience at All Day I Dream. - Pack a picnic and blanket - we’ll have food-trucks, but outside food is also allowed . The venue is a massive grass area and also has a little beach with a scenic view of SF, bring your blanket so you have a place to take a break from dancing and chill with friends. .
- PARKING - is VERY LIMITED! There's limited free parking but if you're arriving after 2pm, we highly recommend taking public transportation or Uber/Lyft to avoid traffic and not being able to park. If parking is filled up you will be forced to park very far away near downtown Oakland. The venue is the first exit off the Bay Bridge (on Bart it's 7min ride from Embarcadero Station in SF to the West Oakland Station stop which is the nearest stop). Uber/Lyft is about 12 minutes from SOMA area. If you have to drive please be responsible and do not drink and drive. - Tickets - we still have tier 3 tickets available, don’t forget to buy your presale ticket which will be at a discount rate and will guarantee entry (limited capacity). - No stakes in the ground / grass and tents are not allowed (these are not allowed by the park). - Come early, the event starts at 1:00pm and ending at 9pm sharp due to strict park rules. We will have special activities to open the event, and serving delicious food including a Oyster and Bloody Mary bar, and the Waking Hour yoga experience with Bo Borzu playing the opening set. There’s also typically no lines for checking in before 2pm and we have 3 headliners playing the entire duration of event starting at 2pm. - Yoga and healing opening ceremony - bring your mat and come early for the Yoga and opening ceremony activities! Our friends at CultureVulture have planned the Waking Hour; a unique interactive program with massage, sacred face painting, yoga, sound healing and more! Starts at 1:00pm but we recommend arriving at 12:30pm to leave time for checking in. - NO LITTERING -- Please leave no trace behind, let’s keep the Bay Area and the park beautiful and clean. There will be many trash containers and recycling / compost options around. Place your recycling and trash in the designated trash bins. - ATM Machines will be available on site. - Drinks provided by Monarch and no outside drinks are allowed - we were able to get permits to serve alcohol and have a bar, but this also means the city permit does not allow outside drinks or alcohol. Please note, food is allowed but bags will be thoroughly searched. Temple Ro is opening the studio for two last chances to pick up lavish, USA-made, cruelty-free necessities before you head to TTITD. This is a big one! We have new pieces fresh from the sewing room that haven't been seen anywhere, a sale and sample rack, and a rack of gently used one of a kind pieces. There will also be a selection of irregular garments at a discount (small imperfections in fabric, etc.) that we would rather give life to than send straight to the recycling bin. In addition, we have a literal mountain of fabric remnants for last minute BRC projects like bikini tops, headbands and accessories, dream catchers, and more. Take whatever you think you'll use, free of charge. Temple Ro is lavish festival fashion with a compassionate heart. Celebrate ethically this festival season! For more information, please see our website and find us on Instagram. Please join us for an evening of amazing House music, good friends, and last minute Playa fashion shopping and proceeds benefiting two really good causes: the Nevada and California Diabete Association and the Golden Gate Bridge Art Car. We're so excited to be joining Five & Diamond for another loft sale! The weekend before Eclipse Festival and 2 weeks before the Playa, this is a perfect day to go shopping for your last minute wardrobe needs! More info here and below from the organizer. We are at a new location in SOMA at DNA Lounge (same as our March event)- a big, open and super fun space where we will be serving drinks, food and we will have 2 DJs spinning all day! Everyone who attends will get 1 raffle ticket as they enter. And then another ticket from each designer that you purchase from. Raffle Prizes will be pulled all day long. The August Beyond the Fence show is perfect for that last minute outfit for the playa! Local dj's, cocktails, and lots of inspiration for your wardrobe for both on and off the Playa!